THE LIGHTS OF SHABBATH Educational workshop for kindergartens and primary schools. The workshop opens with some animated readings on the theme of Shabbat, the main Jewish festivity; then each schoolchild will make a lamp for Shabbat with some recycled material and he/she will try to insert some Hebrew letters. The workshop ends tasting some challah, the bread of Shabbat, which follows a religious precept. 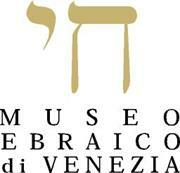 At the end of the workshop the class will visit a Venetian synagogue. The educational workshop lasts 1:30hrs about and costs 4.50 € for each student and can be effected for classes with no more than 25 students. It is performed only in Italian.